So many of our dinners come about simply because of grocery items that have been lingering too long in my refrigerator and need using before they go bad. Such was the case here, where I had some olives nearing their toss out point, and a bag of lemons that I’d never get through unless I whipped up lemon meringue pies for the whole neighborhood. 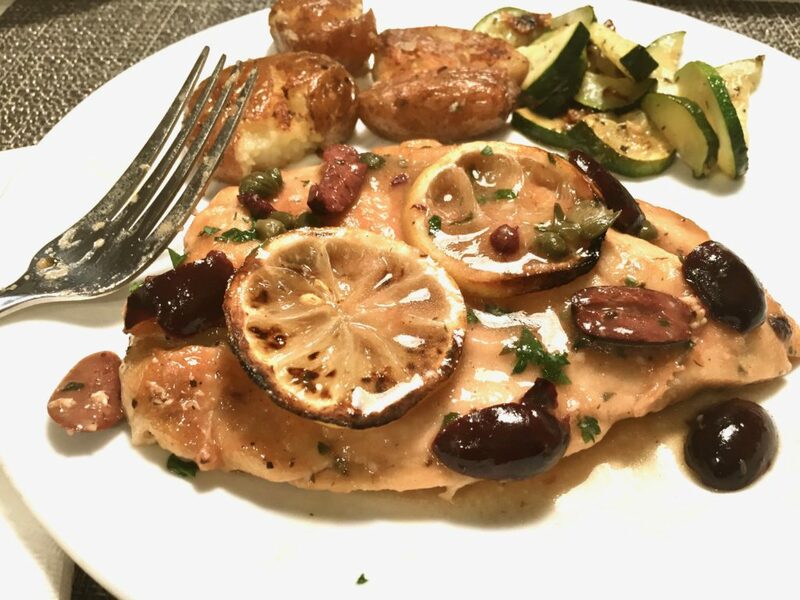 Now, I do cook for my neighbors from time to time but in this case, I wanted something savory and less caloric for dinner, and something that included those lemons and olives. 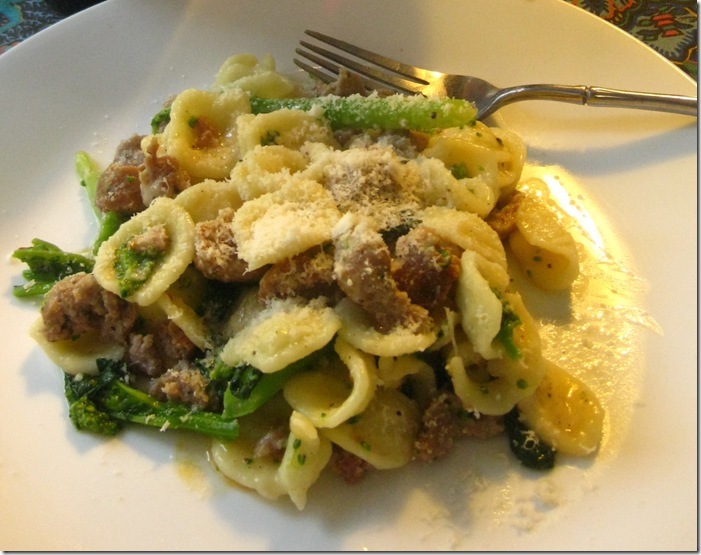 This recipe, adapted from one I found in Food and Wine’s website, by Lidia Bastianich, fit the bill perfectly. I halved the amount of chicken, to serve only two people, but since I wanted more sauce, I kept the proportions for the sauce ingredients as if I were preparing the recipe with a larger amount of chicken. To see the original recipe, click here. 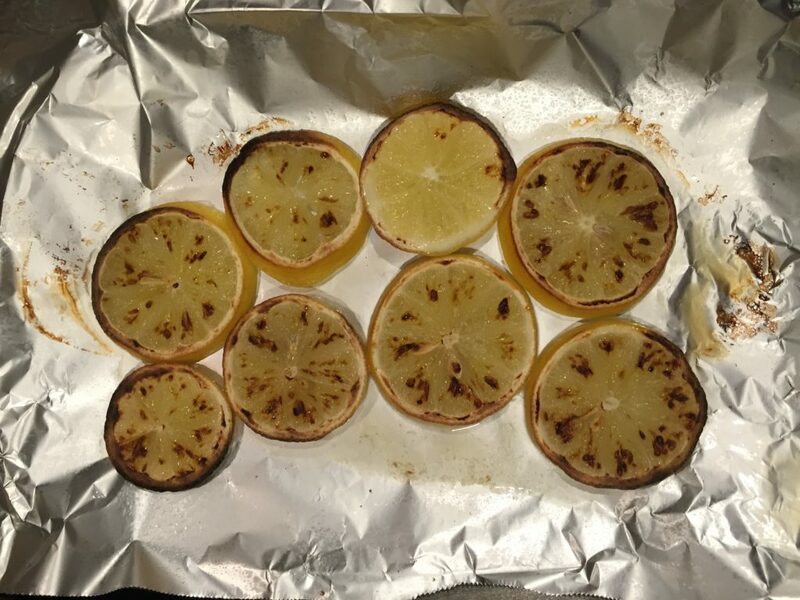 The original recipe asks you to drizzle the lemon slices with olive oil, salt and pepper and bake at 375 degrees, but to get that browned edge, I found that broiling them works best. Keep a close watch on them so they don’t burn. I didn’t bother with the salt, pepper or olive oil either, because there is plenty of seasoning in the recipe itself. 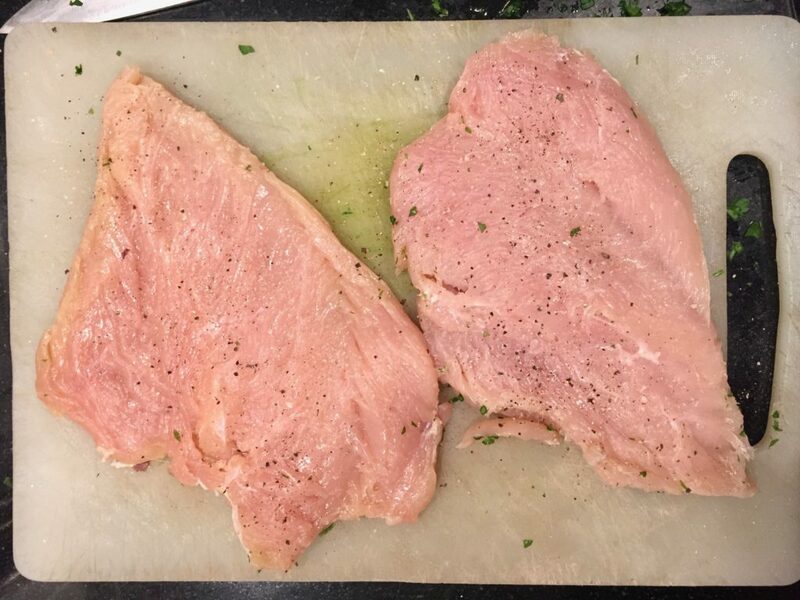 DO NOT buy thin chicken breast slices for this recipe. They’ll cook too quickly and dry out. Buy a boneless chicken breast. It will be too lumpy and uneven to cook as is, so you’ll need to slice through the thickest part to open it up and make it flatter, pounding a bit with a food mallet (the flat side, not the spiky side). Season with salt and pepper and dust lightly with flour. 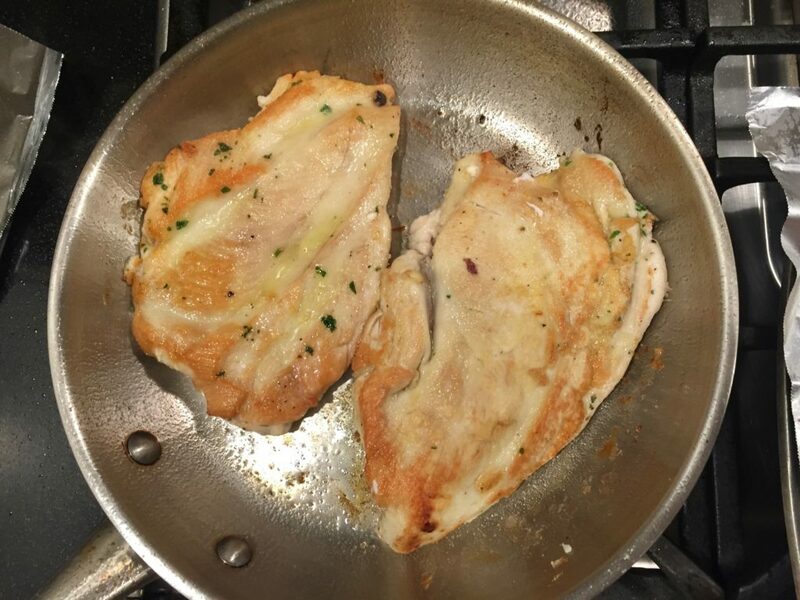 Cook the chicken pieces in olive oil at high heat for a few minutes until they’re golden, flipping once, to brown the other side. 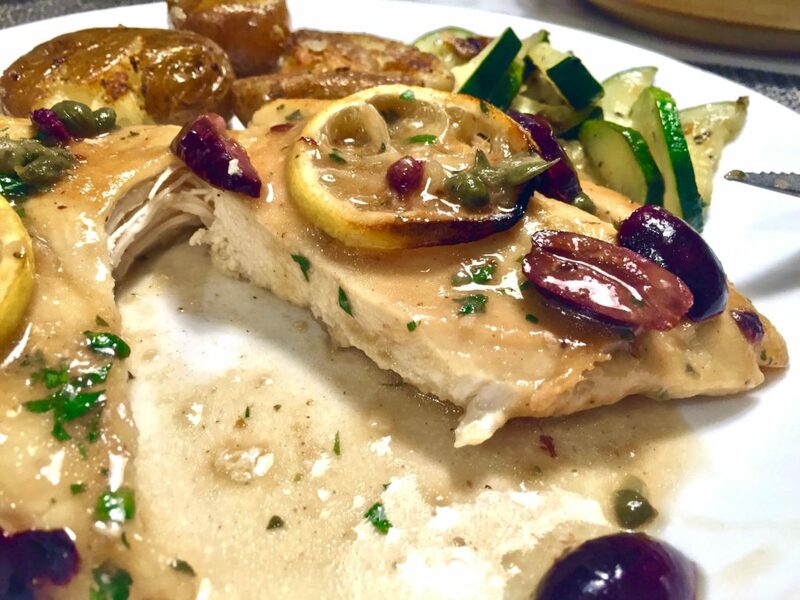 Make the sauce while the chicken is in the pan, adding the chicken broth, olives, capers, the lemon slices and the rest of the ingredients. The original recipe doesn’t call for it, but I added some lemon juice at the end as well, to give it a really fresh taste, and increase the amount of sauce. It’s a dish that’s fairly easy to prepare and good enough to impress company too. When you slice into it, the meat is still juicy and tender, and picks up all those flavors that blend so well together. 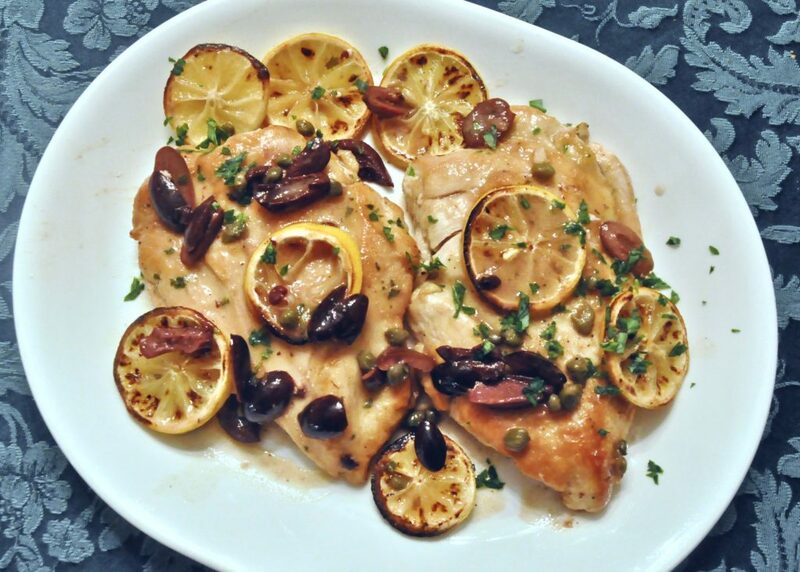 This was a recipe I’ll be making again and again, and next time I won’t wait until I have leftover olives and lemons sitting around. 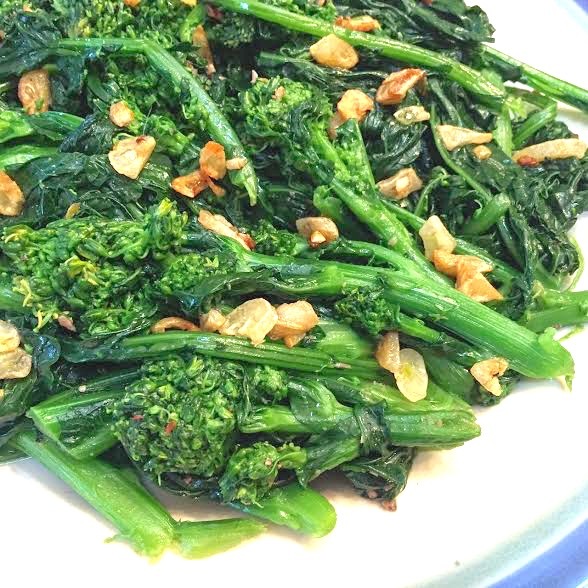 Click here to find out what’s cooking in Ciao Chow Linda’s kitchen each day (and more). Arrange the lemon slices in a single layer. Broil for about five minutes, keeping a close eye on the lemons so they don't burn. Remove from the broiler when the lemons begin to brown around the edges. In a deep medium skillet, heat ¼ cup of oil. Season the chicken with salt and pepper and dust with the flour, shaking off the excess. Cook the chicken over high heat, turning once, until golden, about 6 minutes. Add the olives, capers and stock and bring to a boil. Cook over high heat until the stock is reduced by about two-thirds, about 5 minutes. Add the roasted lemons, the lemon juice, butter and parsley, season with salt and pepper and simmer just until the chicken is cooked through, about 1 minute. Transfer the chicken to plates and spoon the sauce on top. A very civilized way to consume excess lemons. Looks scrumptious and I’m with you Linda, more sauce is better. Broiling the lemons is a great idea as well. Well done. This looks delicious, Linda! Love the flavors and the chicken looks so juicy. That sounds so good. 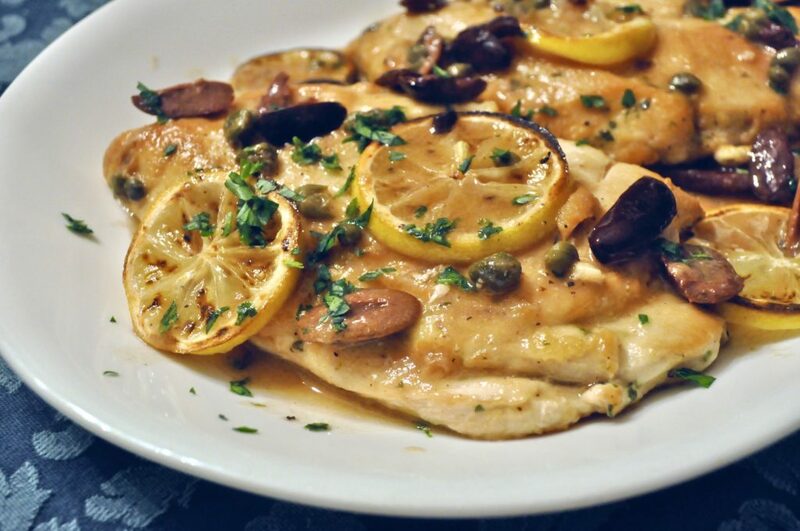 We do love our chicken and you certainly can’t go wrong with olives, capers, and lemon. Nice and tangy is always welcome. Great recipe — Lidia’s dishes are always winners. 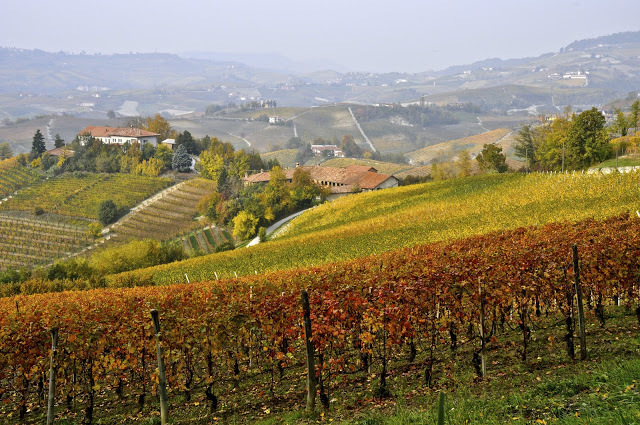 Un abbraccio! I love recipes like this Linda, especially since you used ingredients you had on hand and created something delicious from them. Would this be good with green olives too? I’ve got a picky eater husband that doesn’t like black olives. Thanks for sharing this recipe! Roz – Absolutely you can use green olives. The original recipe calls for them, in fact. But either green or dark olives works in the recipe. Your chicken looks absolutely delicious and just the right amount for two people. Thanks! lo faccio anche io così ma senza olive, grazie per avermi dato una buona idea! 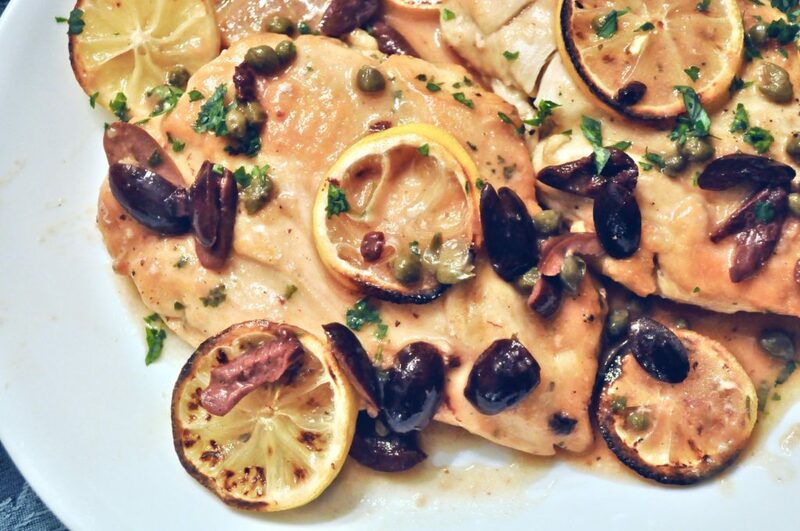 I love a lemony chicken and adding olives and capers complements it wonderfully! I often use this combination of flavors with baking a a firm fish. next post: Drum Roll For Timpano!